'DEAD AND GONE' - PART 2! At last - the untold tale of Marius Boniface?the first Shadowman! As slave catchers roam the scorched landscape in the closing days of the Civil War, there is little hope and even fewer chances of escape...except in the shadows! Enter: Marius Boniface - first bearer of the Shadowman loa and Jack Boniface's own great-great-great grandfather! 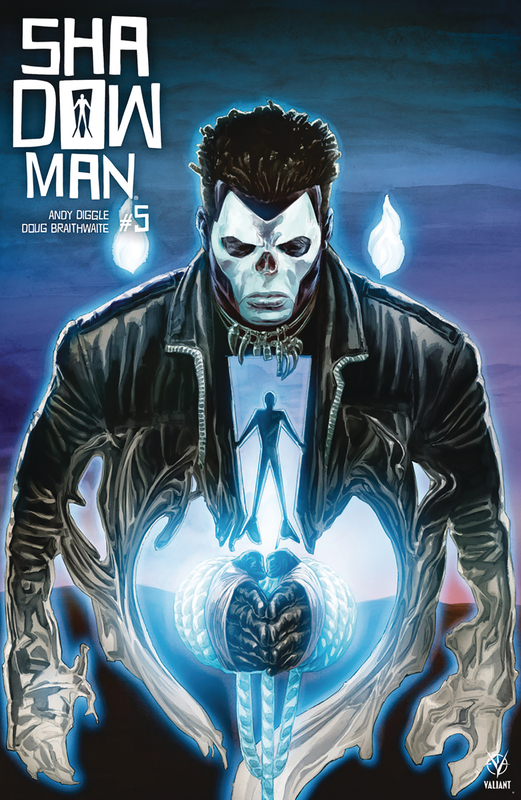 But as the sun sets, the Shadowman's coming will lead to more than just a rebellion... Unstuck in time, Jack is about to come face-to-face with the first to bear his curse, and will finally learn the truth about the Shadowman legacy's connection to his family's doomed bloodline! Superstar artist Doug Braithwaite (X-O MANOWAR, Justice) joins writer extraordinaire Andy Diggle (Green Arrow: Year One) for a must-read moment in the history of Valiant's supernatural icon!